Café Medi is a premier downtown NYC event space located at Hotel on Rivington. The event space brings Mediterranean seafood and veggie-friendly dishes with a kudo bar. 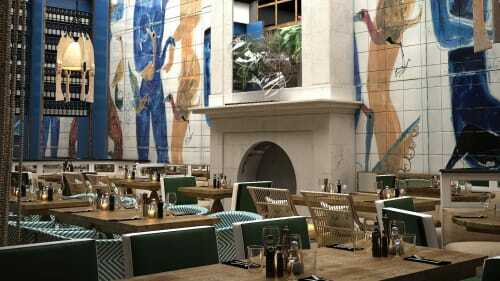 The space features a 20-foot-high atrium with a one-of-a-kind, skylit, hand-painted tile mural and stylish European outdoor patio seating. The edgy and artistic touch shapes a fresh and welcoming space for your next event.